The aim of this paper is to explain the regional variation of fuel poverty in Poland. The significant spatial variation of fuel poverty stems from differences in the buildings’ characteristics, income and household composition as well as the diverse advancement of urbanisation processes. The variance analysis permit the conclusion that all these factors influence both energy affordability (LIHC) and thermal comfort (subjective) dimension of fuel poverty. Energy affordability depends mainly on household’s income, whereas lack of thermal comfort is mainly due to low energy efficiency of a building. Even after factoring out the influence of these three factors there still remains a significant unexplained regional variation of lack of thermal comfort. We show that this unexplained variation is linked with the regional disparities of prices and outdoor temperatures. additional information: We would like to thank Piotr Lewandowski for his many helpful suggestions during the research process. We would also like to thank participants of 3rd ESPAnet Poland Conference for their insightful comments. The publication was developed by a grant funded by the European Climate Foundation. Apply the usual disclaimers. All errors are our own. files to download	Location, location, location. What accounts for regional variation of fuel poverty in Poland? summary – Location, location, location. 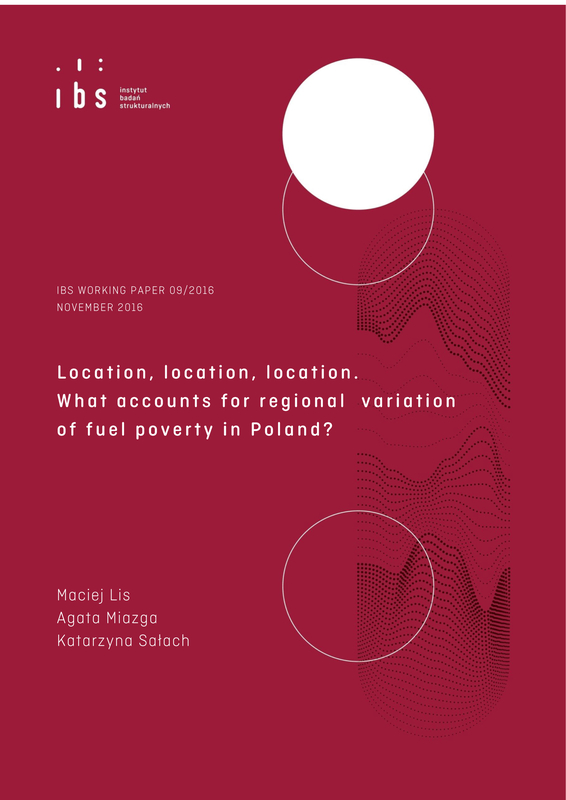 What accounts for regional variation of fuel poverty in Poland?